Migraine sufferer Barbara Leech and counselor Eric Patterson share their tips for combatting depression. You don’t like migraines and you don’t like depression. The bad news is that if you have migraines, chances are better that you have depression as well. This common coexistence is due to the bidirectional nature of migraines and depression. Bidirectional means that one precipitates and causes the other. This bidirectional relationship may seem problematic or even confusing initially but more clarity comes later. 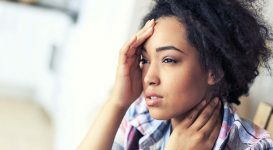 If you understand that people with migraine are much more likely to have depression, you no longer see them as separate, unique conditions, and begin perceiving them as one overriding illness. 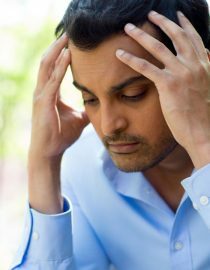 If depression becomes worse, migraines are more frequent and intense. If migraines have been worse, then depression is likely to be debilitating and symptomatic. That means you, your doctors and your friends must consider both illnesses when planning your treatment. Never set out on treatment options without understanding depression symptoms and where they are coming from. Rather than saying “I’m depressed,” begin to look at your daily routines and habits to understand changes in your life. Pay attention to appetite, sleep, attention, irritability, mood and self-esteem. Changes in these aspects of your life can signify a depressive episode. Increased hopelessness, pessimism and thoughts of suicide are major red flags that should be addressed swiftly to ensure your safety. Seek professional opinions as it is challenging to identify the line between typical and atypical. Situational – When you are faced with new stresses and new challenges, it changes your life. The world around you seems different and you search for new ways to exist inside it. Migraines make everyday activities more of a challenge to complete and more stressors compound the situation. Perhaps, your relationships and supports have become strained from your diagnosis or your pain. This can cause situational depression to develop. 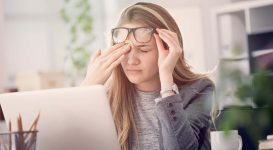 Physiological – You know that migraines negatively impact your brain chemistry. 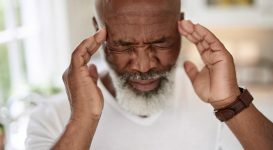 Research now points to the notion that the same imbalance that triggers migraines can bring about depression. Your external life may have little to do with your symptoms. Fatigue – Migraines take their toll on your physical health. When your body is strained, your brain is not functioning to its fullest potential. Fatigue will bring on other depressive symptoms like lack of energy, lack of motivation, problems sleeping and even feelings of guilt and shame. 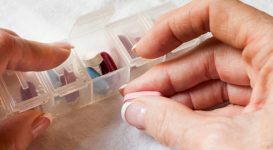 Medication – Knowing and communicating your symptoms effectively is especially important with medications. Some migraine medications can make depression worse. Some depression medications make migraines worse. Always gain education when it comes to the medications that you are putting into your body. When looking at the sources of your symptoms, accept that there could be multiples causes. Additionally, the root of your symptoms could be changing depending on the situation. Perhaps, it is medication-related before it changes to fatigue and then situational. The best self-monitoring is necessary to gain awareness of your symptoms. Selective Serotonin Reuptake Inhibitors (SSRIs) – These are some of the most commonly used antidepressant drugs. SSRIs work by flooding your brain with more serotonin which typically improves symptoms of depression. Oddly, when depression is accompanied by migraines, these medications are less effective. Serotonin Norepinephrine Reuptake Inhibitors (SNRIs) – This are another group of antidepressants that work to add norepinephrine as well as serotonin into your brain. Two is better than one, right? Not in this case. As with SSRIs, SNRIs have poor results in patients with depression and headaches. Opioids/ Butalbitals – These are prescription pain medications that are available under a number of names and strengths. These are known to lead to a condition called mediation overuse headache (MOH). These medications will lose their efficacy and cause more headaches. Opiods are also related to depressive symptoms since they slow your body functioning. 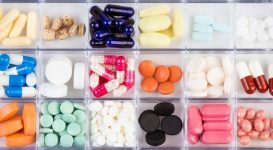 Tricyclics – For the best results for people with depression and migraine/ headaches, you have to look back to 50-year-old medications. The tricyclics are an older generation of antidepressants. Symptoms tend to respond at a quicker rate and at lower doses than with other medications. Tricyclics are generic medications so some prescribers may lack knowledge of them and their efficacy. Monoamine Oxidase Inhibitors (MAOIs) – This is another older type of medication that is no longer prescribed at a high rate. Low usage is usually due to higher risks of side effects, but for patients that are knowledgeable and careful with their treatment; these may be the best option. Next page: CBT for migraine. Page three: Barbara shares her thoughts on migraines and depression.